Dhaka, 6 June, Abnews: Finance Minister Abul Maal Abdul Muhith is set to roll out tomorrow the national budget for the 2018-19 financial year (FY19). This will be the country’s 47th budget and the 19th of the Awami League government while the 12th for Muhith. The finance minister will start placing the budget at the Jatiya Sangsad at 12:30pm. He will be the first finance minister to place the national budget for the 10th time in a row since 2009. Last year Muhith placed the national budget with the target of taking country’s economy to the higher growth trajectory. He also outlined a set of plans and strategies to build a prosperous, happy and peaceful country by 2041. Many expect that this year the finance minister will give priority to the development initiatives those cover the major areas, including infrastructure, power, and education and skill development. Increasing investment and employment will also get focus in the fiscal allocation and policy stance. The next budget will also give people more space for comfort with increasing the tax-free income limit for individual, reducing corporate tax and expanding the social safety-net. Rohingya issue is likely to be a major concern for the finance minister, as he has to set a considerable amount aside in the national budget especially for sheltering and feeding over 10 lakh Rohingyas who fled into Bangladesh to avoid military persecution in the Rakhine state of Myanmar. Earlier on November 14, 2017, the Executive Committee of the National Economic Council approved a Tk 2,312.15 crore project for building temporary shelter for Rohingyas at Bhasanchar. Despite a little scope to focus on any new area, the finance minister has to make a very conscious move to keep the economy on growth trajectory, especially considering the country’s official graduation from the Least Development Country (LDC) category to developing group in 2024. Muhith has already hinted that the budget size for the next fiscal year would be about Tk 4.60 lakh crore as the fiscal outlay would keep a provision for financing some ongoing mega projects while it would make increased allocation for new development projects in the coming fiscal. The minister said that the target for GDP (Gross Domestic Product) growth would be set at 7.8 percent for the next financial year. The target for the outgoing financial year is 7.28 percent, but the planning ministry expects the growth will be over 7.65 percent at the end of this June. The finance minister is expected to slash the corporate tax rate responding to the call of the country’s leading trade bodies, which have long been demanding a gradual decrease in corporate tax at a progressive rate of 5 percent, 7 percent and 10 percent respectively in FY19, FY20 and FY21. The trade bodies said that such a deduction in corporate tax would help boost overall investments that will ultimately help create new jobs. 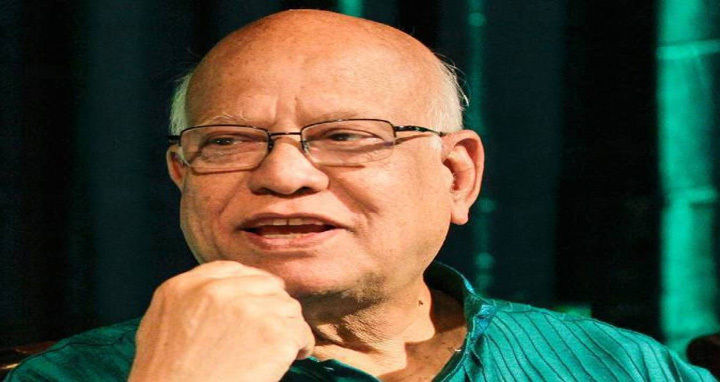 Muhith also hinted at increasing the individual tax free income limit as the trade bodies have requested him to increase the limit to Tk 3 lakh from the existing Tk 2.5 lakh in the upcoming budget. Like FY18, the next budget would also have some other special features those are designed in line with the government’s target of promoting the country to middle-income group by 2021. Expanding tax net will be another major strategy of the proposed budget as the government has planned to bring potential taxpayers under the tax net in FY19. There are now around 35 lakh e-TIN (electronic Tax Identification Number) holders and among them, over 14 lakh submit their income tax returns. The government has a target to raise the number of active taxpayers to 50 lakh by 2021. The National Economic Council (NEC) has already approved an overall Tk 1,80,869.17 crore Annual Development Programme (ADP) for FY19 including the organizations’ own fund laying emphasis on speeding up the implementation of the mega projects such as Padma bridge, Rooppur nuclear power plant, Karnaphuli tunnel, Matarbari power plant, Padma Bridge rail link and Dhaka metro rail. Out of the overall ADP allocation, Tk 1,19,810.95 crore will come from the local sources while Tk 61,058.22 crore from foreign ones. The original ADP outlay for the FY19 is 16.59 percent or Tk 24,619 crore higher than that of the revised allocation for the current fiscal year. Besides the national budget, the activities of the banking, insurance and financial institutions for the year 2017-18 prepared by the Bank and Financial Institutions Division will be placed in the Jatiya Sangsad. Like the previous year, the budget this year too will be presented on PowerPoint and all the fiscal documents will be made available on the website of the finance division – www.mof.gov.bd. The budget documents will also be available on www.bangladesh.gov.bd, www.nbr-bd.org, www.plancomm.gov.bd, www.imed.gov.bd, www.bdpressinform.org, www.pmo.gov.bd and www.bdnews24.com. Any person or organisation at home and abroad can send feedback, opinion or recommendation by filling up a form after downloading it from the website. All the received opinions and recommendations will be considered. Muhith will speak at a post-budget press conference at Osmani Memorial Auditorium on June 8 (Friday) at 2:30 pm.